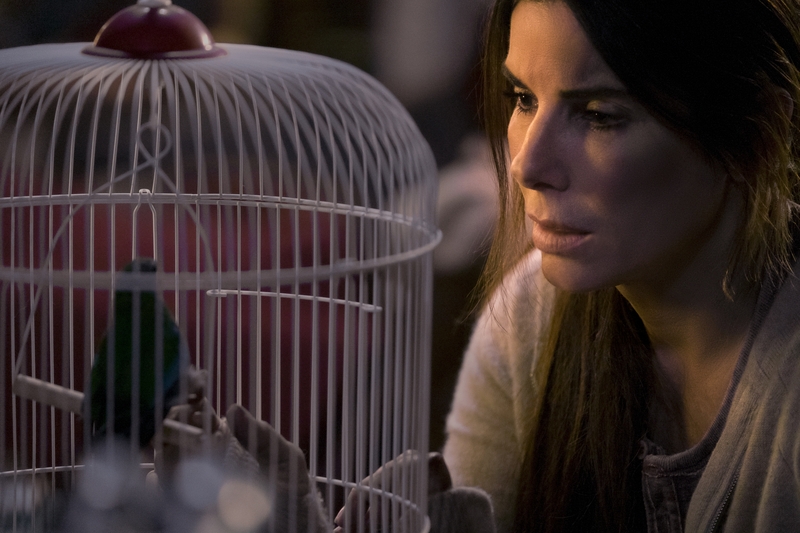 Academy Award-winning actress Sandra Bullock has become part of our cultural consciousness as the ultimate girl next door. From her highest highs in The Blind Side to the lowest lows of finding out her husband’s infidelity, fans are always supporting Bullock. She’s funny, talented, a great mom, and a Hollywood player. She’s moved far beyond her days of appearing in chick-flicks, but getting to know the actress who grew up in Germany will make anyone wish she’s their BFF. Born on July 26, 1964, in Arlington Virginia, the actress traveled throughout Europe with her parents. Her father, John W. Bullock, was a United States Army employee and part-time voice coach. Her mother, Helga Mathilde Meyer, was an opera singer. Bullock was raised in Germany and Austria for 12 years, and she grew up speaking German too. The aspiring actress studied music and dance at the Waldorf School in Nuremberg. The Bullock family made their way to North America and settled in the Washington, D.C. area. The Miss Congeniality actress attended Washington-Lee High School where she had no problem fitting in. 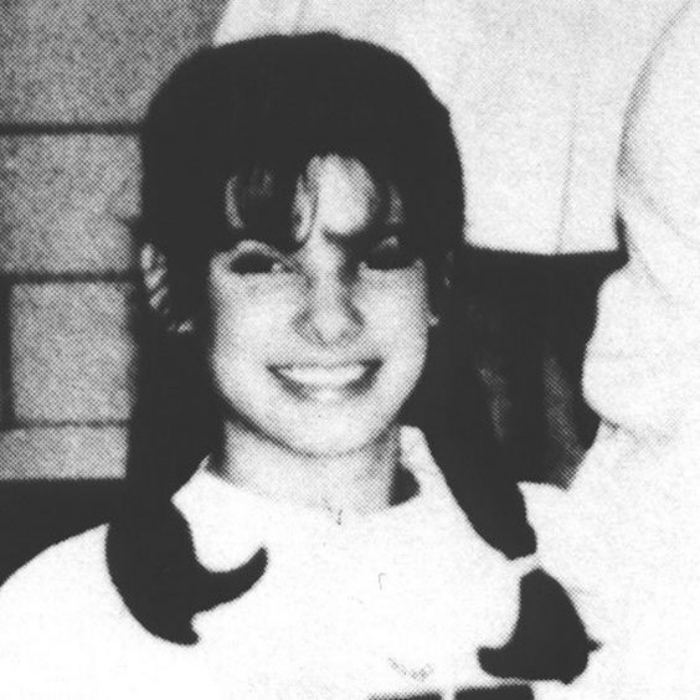 Bullock would become involved in cheerleading and performed in theater productions. Following her graduation in 1982, she would attend East Carolina University in Greenville, North Carolina to study acting. 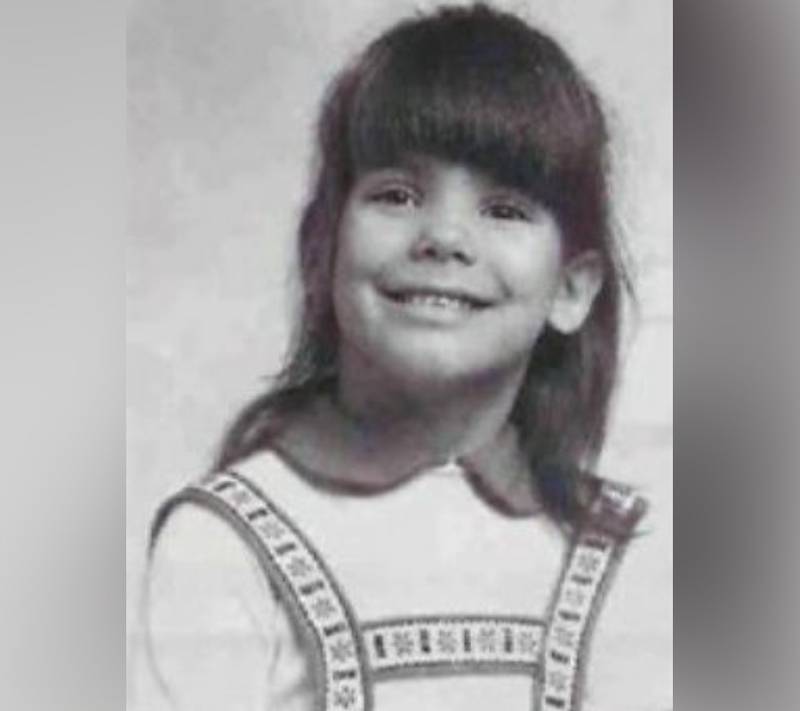 However, she left college only three credits shy of earning a Bachelor’s Degree. German audiences got the first glimpse of Sandra’s talent. Despite her notable appearance in Love Potion No. 9, Bullock made her first stage appearance in a small role for an opera in Nuremberg. Her stage debut at a young age inspired her to develop an interest for acting, thus appearing regularly at the Staatstheater Nürnberg. Bullock has a younger sister, Gesine Bullock-Prado, who served as the vice president of her sister’s production company, Fortis Films. Bullock’s big break came in 1994. Read ahead to see what role throttled her into the lime light. While living in the Big Apple, Bullock worked as a bartender to support her dream of becoming an actress. During that time, the Crash actress took acting classes with Sanford Meisner and it wasn’t long before she landed a gig in an Off-Broadway production. She would appear in the play No Time Flat as her performance was strong enough to herself an agent. Most of her early acting jobs were small parts in television and B-Movies. After landing an agent and appearing in low-budget movies and television shows, she earned a part in the 1989 made-for-television film Bionic Showdown: The Six Million Dollar Man and the Bionic Woman. That led her to play Tess McGill in the short-lived NBC television adaptation of the film Working Girl. From there on, she would appear in several films before Bullock rose to early prominence with a supporting role in 1993’s Demolition Man. Before Bullock was cast as Annie Porter in the hit movie Speed, both Halle Berry and Ellen DeGeneres were considered for the role. The Virginia native would read for the part with co-star Keanu Reeves to make sure there was good chemistry between the actor and actress. For one particular reason, Bullock was not on board for the sequel. It’s a good thing she never backed out of the role because, without it, she might not have landed even more prominent roles. Bullock’s outstanding performance soon established herself as a Hollywood leading actress. For her role in While You Were Sleeping, she received her first Golden Globe Award nomination for Best Actress-Motion Picture Musical or Comedy. Throughout the nineties, she appeared in a few more him movies, including The Net and A Time To Kill. In an attempt to expand her dramatic range, Bullock appeared as an alcoholic newspaper columnist sent to rehab in 28 Days. The actress wished that someone had told her not to make a sequel for Speed. She only agreed to appear in Speed 2 to get financial backing for her next film, Hope Floats. Despite the age gap, Bullock dated a well-known Canadian actor who appeared in The Notebook. Bullock took on the role of an FBI agent who went undercover in the Miss United States beauty pageant in the hit Miss Congeniality. The role would earn the actress her second Golden Globe Award nomination for Best Actress-Musical or Comedy. Following a brief breaking from acting, the Virginia native returned in 2002. She appeared in Murder by Numbers, playing a detective who’s responsible for tracking down a duo of thrill-killers. The actress was enjoying her newfound fame thanks to Speed. However, after appearing in the movie, she discovered she had allergies while filming Two If By Sea. 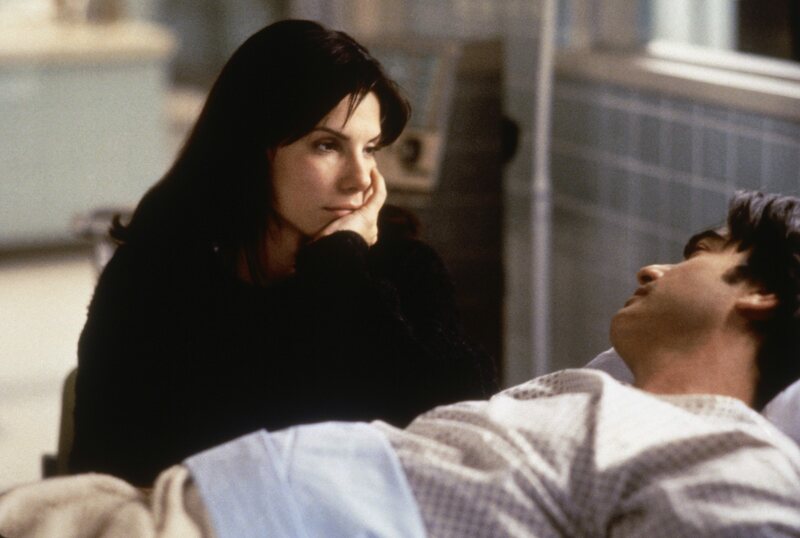 Bullock co-starred with Denis Leary in the 1996 rom-com. Unfortunately, when she was shooting a scene with horses, it turns out she was allergic to them. And to add more salt to the wound, the movie was the actresses’ worst worldwide opening until Our Brand Is Crisis was released. Bullock was once engaged to Tate Donovan, whom she met on the set of Love Potion No. 9. After their engagement broke off, the 28 Days actor began dating Canadian Ryan Gosling. Despite their 16-year age difference, they dated for a little over a year. However, that was long enough for her Two Weeks Notice co-star to tease her about it. Grant gave Gosling the nickname “The Child” and would mimic a baby to rile her up. One of her least favorite things is coming up next. Bullock and her then-boyfriend, musician Bob Schneider, were traveling during the holiday season in 2000. Their plane skidded off the runway which carried the couple and two crew members. Thankfully, they all emerged unhurt from a potentially fatal plane crash in the snowbound resort town of Jackson Hole, Wyoming. It’s believed that the pilot may have been confused by the hazardous conditions that he mistook a set of ground lights. 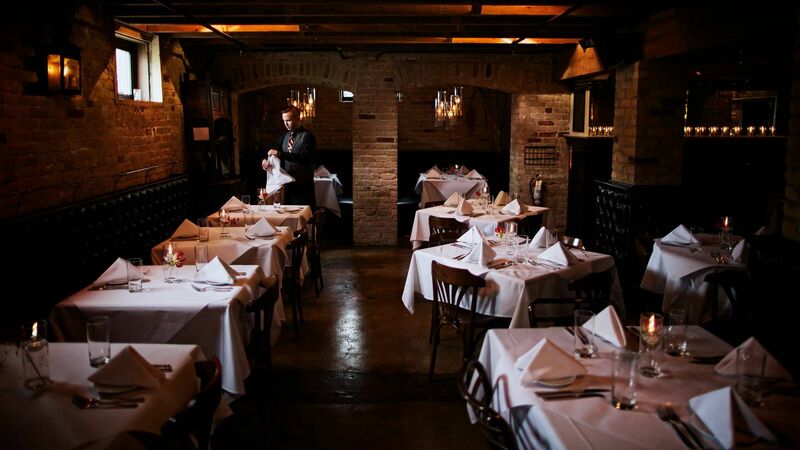 Bullock opened the restaurant, Bess Bistro, in the almost-century-old Stratford Arms building at 500 W. Sixth St. in 2006. The restaurant started as a French bistro but introduced a new executive chef in the past year and had moved away from its French roots. Plus, the across-the-street neighbor Walton’s Fancy & Staple, a hybrid bakery, deli, and flower shop that Bullock also owns, opened in 2009. Unfortunately, Bess Bistro closed its doors in September 2015. The irony behind this is rather interesting. Considering her own musical training and the careers of her parents, Bullock admitted something during an interview with Harper’s Bazar. Despite being in a children’s choir, the actress will never step foot on the set of any musical. She made her stance on musicals by making it clear that she really hates them. It’s no surprise why the actress has appeared in so many comedy/drama films. A horrible scandal happened between Bullock and her husband in 2010. Find out the dramatic details shortly. Bullock married Jesse James, the motorcycle builder and host of both Monster Garage and Jesse James Is A Dead Man, back in 2005. They first met when Bullock arranged for her ten-year-old godson to meet James as a Christmas present. In November 2009, Bullock and James entered into a custody battle with James’ second ex-wife, former adult film actress Janine Lindemulder. Bullock and James subsequently won full legal custody of James’ five-year-old daughter. Bullock announced on April 28, 2010, that she had proceeded with plans to adopt a son. Bullock and James had begun the adoption process four months prior. Bullock’s son began living with them in January 2010, but they chose to keep the news private until after the Oscars in March 2010. However, given the couple’s separation and then divorce, Bullock continued the adoption of her son as a single parent. Several women claimed to have had affairs with James during his marriage to Bullock. James responded to the rumors of infidelity by issuing a public apology to Bullock. After that, James’ publicist subsequently announced on March 30, 2010, that James had checked into a rehabilitation facility to “deal with personal issues” and save his marriage to Bullock. However, Bullock filed for a divorce and it was finalized on June 28, 2010. Despite the divorce, that didn’t stop the actress from achieving another career breakthrough. Read ahead to see what she did. On April 22, 2007, a woman named Marcia Diana Valentine was found lying outside James and Bullock’s home in Orange County, California. When James confronted the woman, she ran to her car, got behind the wheel, and tried to run over him. Valentine was charged with one felony count each of aggravated assault and stalking. However, she pleaded not guilty to charges of aggravated assault and stalking. She was sentenced to three years probation. 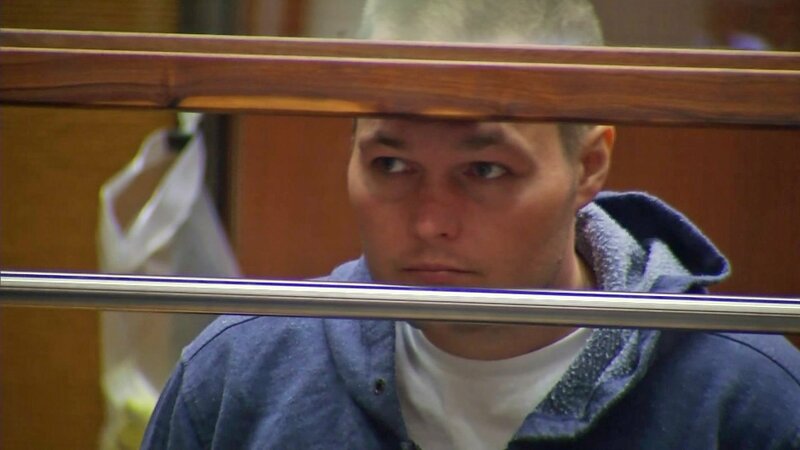 In June 2014, Joshua James Corbett broke into Bullock’s Los Angeles home. Bullock locked herself in a room and dialed 911. Corbett pleaded no contest in 2017 and was sentenced to five years’ probation for stalking Bullock and breaking into her residence. He was then subject to a 10-year protective order requiring him to stay away from Bullock. On May 2, 2018, after Corbett missed a court date the previous month, police officers went to his parents’ residence where he lived in a guest house to arrest him. The actress starred as Leah Anne Toughy, a wife and mother who brings Micheal Oher into their family. The touching true story drama would earn Bullock wide-spread acclaim. 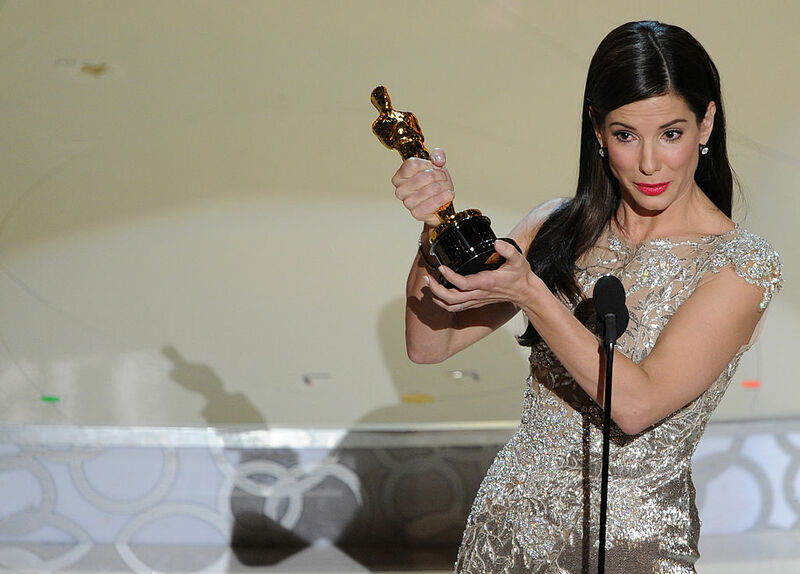 Thanks to her role, she earned an Academy Award for Best Actress, but that wasn’t all. Bullock would also take home the Golden Globe Award for Best Actress in a Drama. After the success, Bullock largely stepped out of the Hollywood spotlight for a time. Bullock’s highest-grossing film to date is coming up next. Bullock returned to the big screen with the box-office hit The Heat. 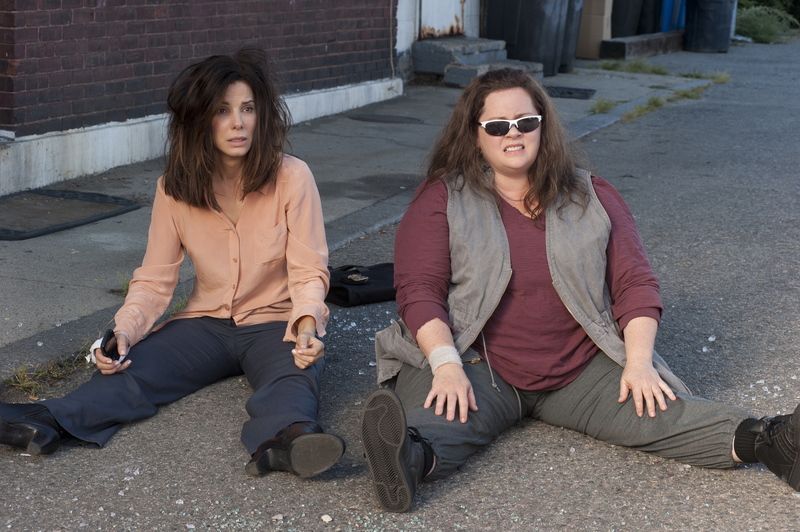 Alongside Melissa McCarthy, the duo played a pair of mismatched law enforcement agents out to take down a drug lord in this buddy-cop comedy. The movie received positive reviews, but it was the chemistry and performances of both Bullock and McCarthy that earned significant praise. The film helped the actress rediscover her spot in the world of Hollywood. 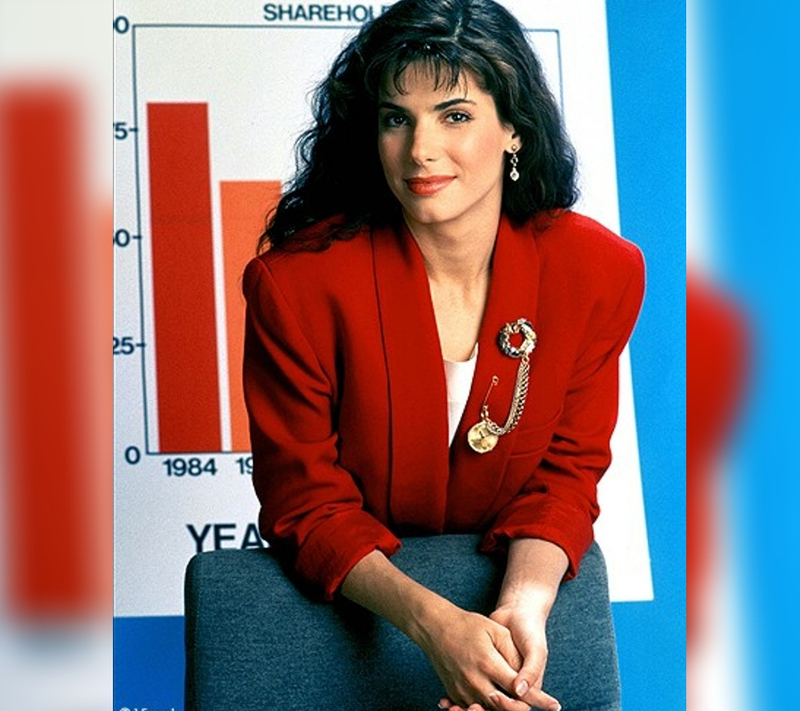 In the same year, Bullock found more success. She took on the leading role of a medical engineer and astronaut in Gravity. The film raked in more than $720 million at the worldwide box office and generated a second Academy Award nomination for Bullock. Plus, she was named Entertainment Weekly‘s 2013 Entertainer of the Year. She earned the same recognition in 2008 for her role in The Proposal and The Blind Side. 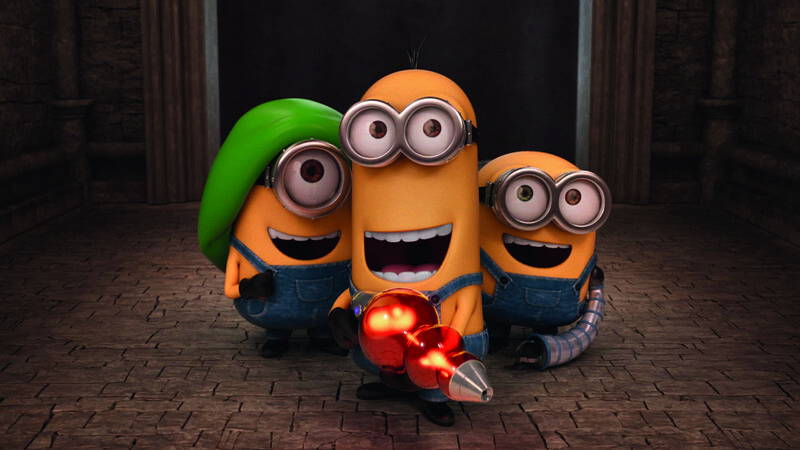 The versatile actress finally provided her voice of the villain, Scarlett Overkill, in Minions. The 3D computer-animated comedy grossed $336 million in North America and $823.4 million in other territories for a worldwide total of over $1.159 billion. That movie would become the Oscar-winning actress’s highest-grossing film to date. In that same year, Bullock executive produced and starred as a political consultant hired to help win a Bolivian presidential election in the drama Our Brand Is Crisis. Read ahead to see why her latest film is generating a ton of buzz. Following the commercial flop that was Our Brand Is Crisis, Bullock took some much needed time off. 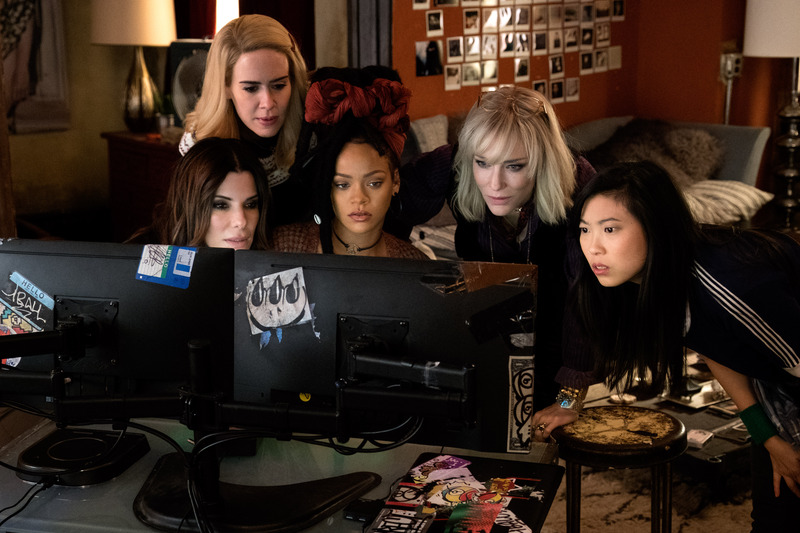 The Entertainment Weekly‘s Entertainer of the Year returned in an all-female spin-off of the Ocean’s Eleven franchise, Ocean’s 8. The actress played Debbie Ocean, the sister of Danny Ocean, who plans a heist at the annual Met Gala in New York City. The film grossed over $297 million worldwide but received lukewarm critical responses. The Netflix movie has created a ton of buzz since its release. This wasn’t the first thriller Danish filmmaker Stephanie Bier has ever brought to life. Previously, she crafted the same kind of suspense in the series The Night Manager, starring Tom Hiddleston and Hugh Laurie. 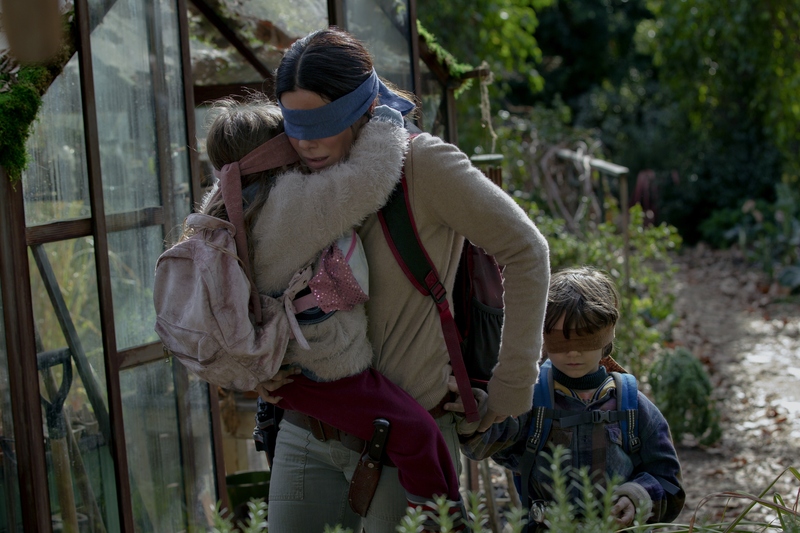 A week after its release, Netflix reported that Bird Box had the biggest seven-day viewership for any of its original films to date, with over 45 million viewers. That’s right. There was an authentic blindfold on the actresses face. The Oscar-winner revealed that she was blindfolded for at least half of the movie. 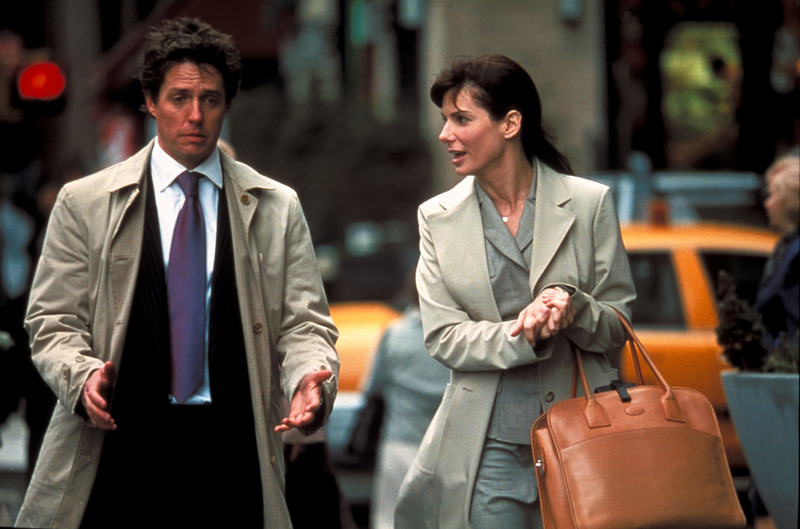 Plus, Bullock continuously ran into the camera while filming her scenes. The director had even more to say about the actress in an interview with BBC. Bier revealed she suffered “sleepless nights” whenever Bullock refused to cut holes in her blindfold. In a world of CGI, it’s impressive to see her commitment to the role. During an interview on The Ellen DeGeneres Show, Bullock brought up something interesting. She said that during the scenes when she was running while carrying Boy and Girl, she was careful not to hit them against trees or bump into things. 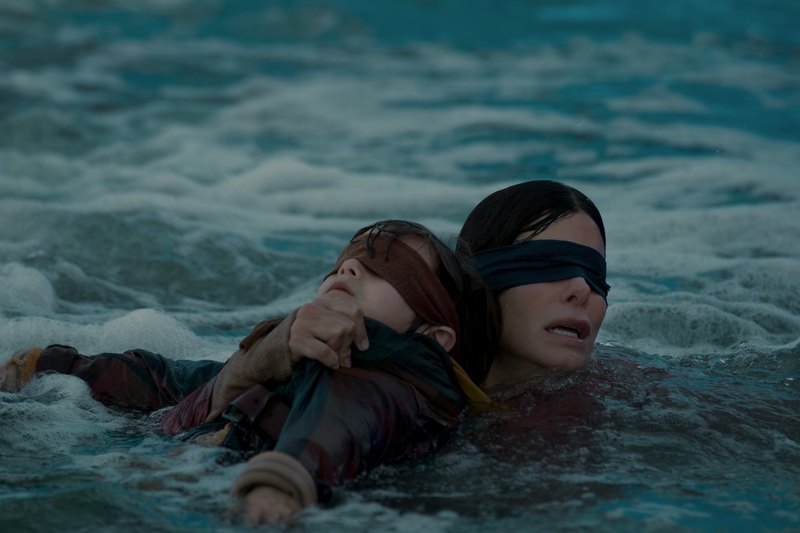 “Any time I had the kids, and I had to run, I had the crew eliminate one layer of the blindfold so I could see outlines,” Bullock said. The kids were also hooked onto her for safety purposes. 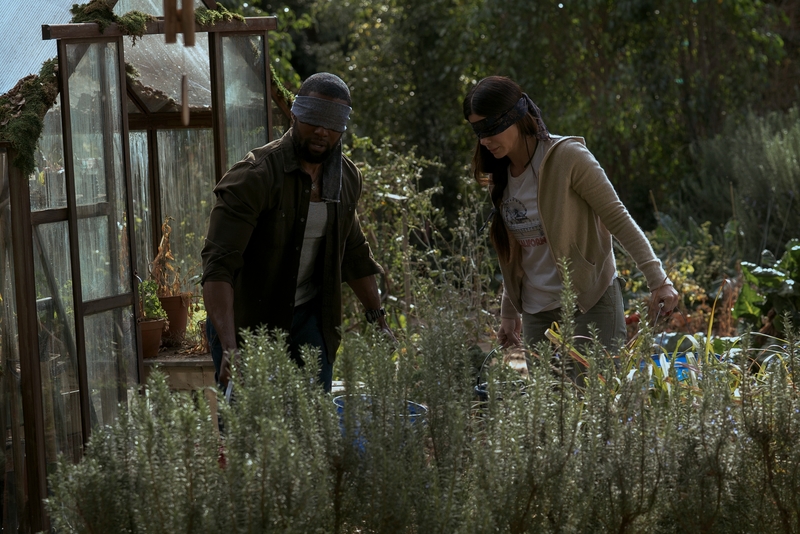 Just ahead, viewers never get to see the creatures in Bird Box, but Bullock may have revealed what they appear to be. That may have made filming the thriller more difficult. Viewers never get to see the creatures that are attacking people who open their eyes. 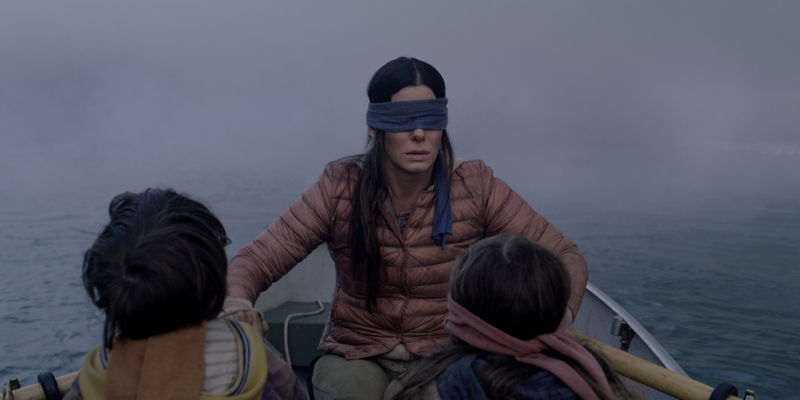 However, Bird Box screenwriter, Eric Heisserer told Bloody Disgusting one thing. The creatures were almost shown in the film.